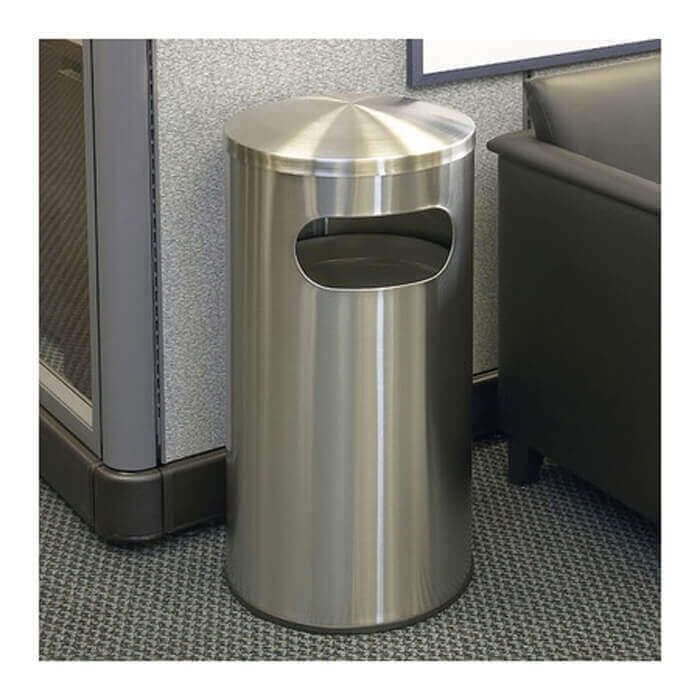 15 Gallon Precision Commercial Stainless Steel Round Trash Receptacle - 22 lbs. 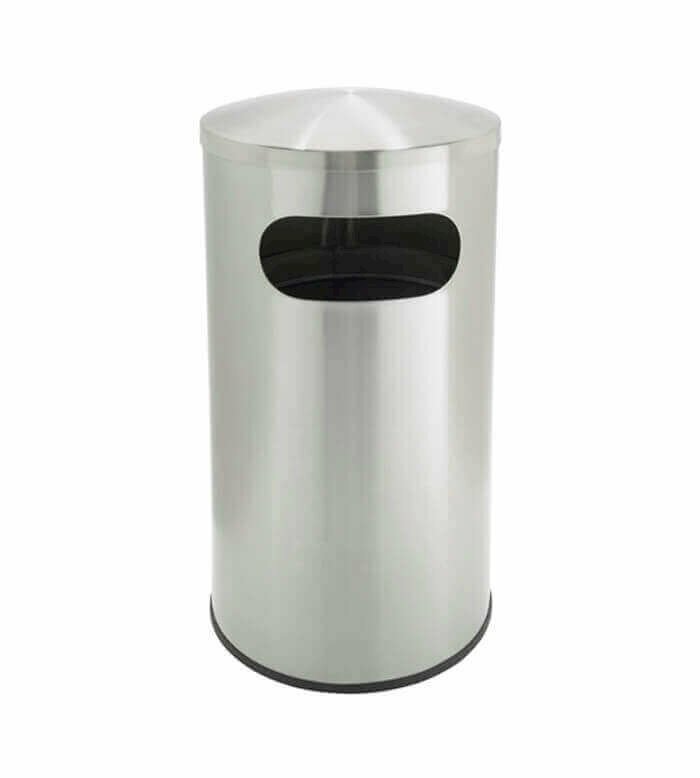 Our 15-gallon Precision commercial stainless steel round trash receptacle adds class to the business buildings, hotel lobbies, and restrooms. Constructed from strong heavy gauge 304-grade recycled stainless steel, this unit has a hygienic surface that won't rust. A rubber base ring has been fitted to the bottom of the receptacle to keep it in place, while also protecting the floor from damage. Designed with a dome shaped lid discouraging placement of trash on top. Includes a galvanized liner with handles to make trash removal as stress-free as possible. 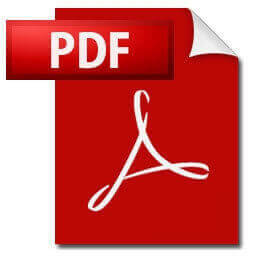 This receptacle will bring many years of low-maintenance performance to any business. • Dimension: L 15.75" x W 15.75" x H 30"